"While most campers head to the mountains, Buck Trout makes a bee-line toward festivals and fairs. 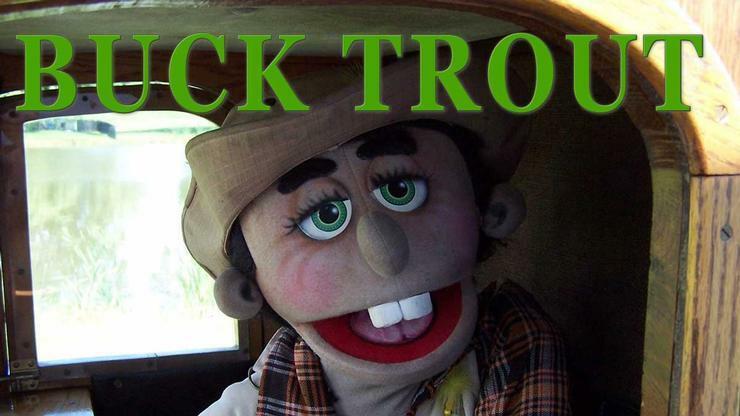 A buck-toothed, nature loving puppet, Buck Trout prefers the laughter of children to the serenity of a mountain retreat. Since 1995, Buck Trout has completed an estimated 50 cross-country trips making appearances at some of the largest events in the United States. This nationally known, fun loving puppet consistently promotes good values and encourages families to embrace a healthier lifestyle. As Buck Trout drives around in his little truck, his zany antics and comical stories always make a lasting impression that brings smiles and laughter to children of all ages."